—The storage container Paso Robles company, Container Stop, has released a report about the best solutions for adding doors and windows for storage containers Paso Robles remodel projects. Where the container is to be located can have a lot to do with the best solutions for placing doors and windows on the container. “These best solutions are in response to the increasing repurposing for storage containers Paso Robles residents and businesses are requesting,” said owner Garrett Crocker. Repurposing the storage containers Paso Robles urban and rural users benefit from is only limited by one’s imagination. Crocker compiled these best solutions to help new container owners get the best results for their ideas. Read the report below. Is the container going into a tight spot, near a fence or other structures? Will it be placed at the end of a driveway, in an open field, or under trees? Are all four sides of the container easy to access or is access restricted on two or three sides? What is the distance between the outside of the container and any fences, trees, or other buildings? Are windows for adding natural light, ventilation, or both? A window that faces a tall fence or an adjoining structure is not going to be as efficient for light and ventilation as one that faces into an open area. For a tight fit, a combination of windows and ventilation fans might be the best solution. What is going to be using the doors? Doors require convenient entrance and safe exit. While it is relatively easy for a person to walk through a tight passageway on the way in, that same passageway might not provide enough room for a safe and speedy exit in an emergency. Easy access is also important if vehicles are being moved in and out or deliveries are being shipped or received. Doors and windows that are located in low visibility areas are prone to attempted break-in and vandalism. Container Stop is expert at both fitting containers into tight spots and recommending the best location for doors and windows. Providing the staff at Container Stop with a drawing of the space where the container is going to be and including careful measurements of the area will help the staff make the best recommendations. Container Stop is a Paso Robles Storage Container company that fulfills need for shipping containers Paso Robles uses for outdoor, mobile storage. The company offers fairly priced shipping containers as well as modification services to suit whatever needs customers may have. Container Stop ships all throughout California, and will even ship out of state, but offers free delivery to local orders. 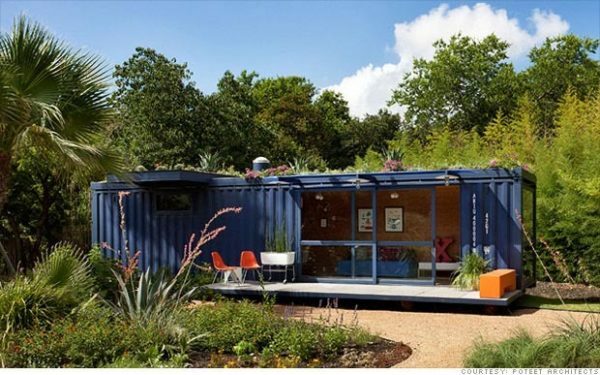 For all of Paso Robles shipping container needs, think Container Stop. Press release by San Luis Obispo SEO Access Publishing, 806 9th Street, #2D, Paso Robles, CA 93446 (805) 226-9890.